About 700 women of color gathered in San Francisco on Thursday for a historic mobilization of women who are elected officials, running for office, or supporting women in politics. 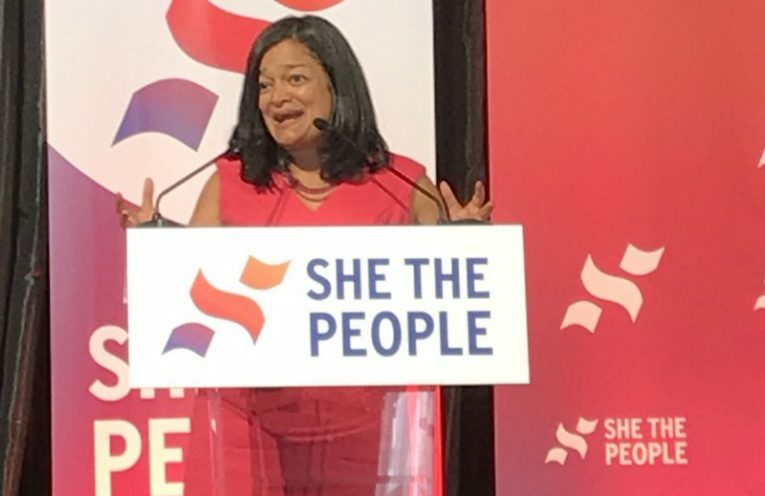 The gathering, called “She The People,” was organized by Democracy in Color and drew Representatives like Pramila Jayapal of Washington and Barbara Lee of California, as well as soon-to-be Congresswomen Deb Haaland and Rashida Tlaib, and prominent activists such as Dolores Huerta, Linda Sarsour, Nina Turner, Alicia Garza and others. We’ll bring you special coverage from She The People on today’s show, brought to you by KPFA.